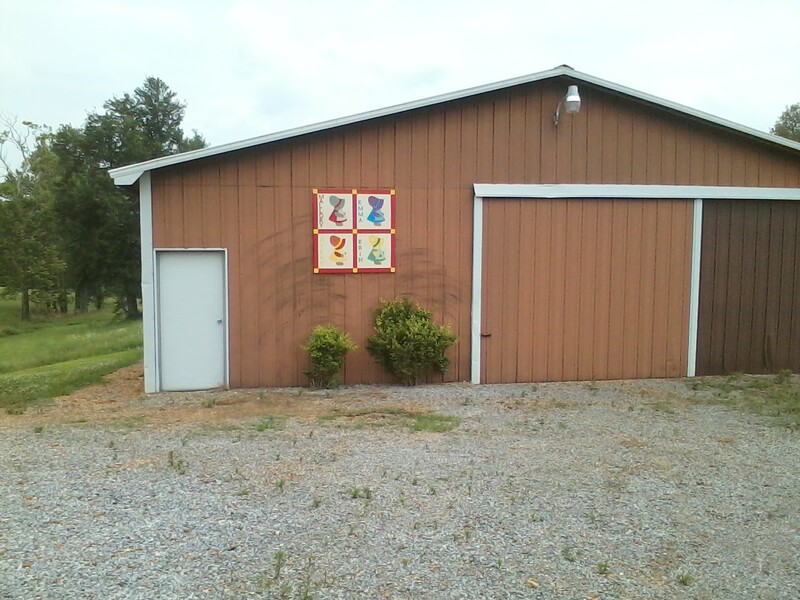 This barn quilt is at the Leslie and Brenda Whitlock residence, 1097 Hickerson Road, Clinton, Ky, 42033. 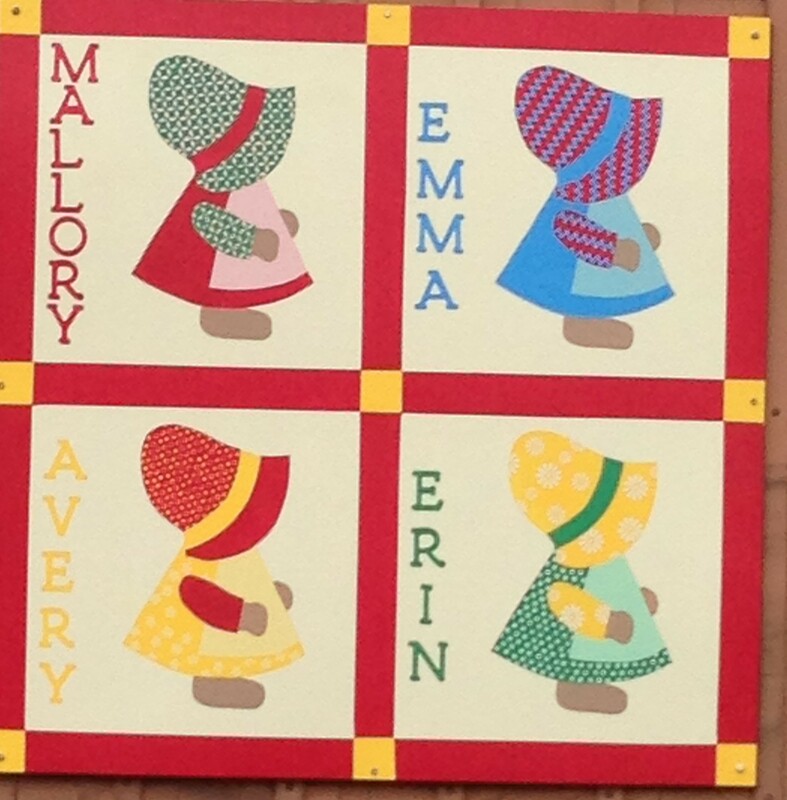 It is a birthday gift to Brenda from her daughter and son in honor of her four granddaughters. The quilt is painted on a four by four square of fiberglass with outdoor acrylic paint by Dale Batts and Nancy Conn.